Expedia has some excellent Edinburgh travel packages Bundling your bookings is a surefire way to save time and money — and get your adventure off to a great start. Smart jetsetters can gain savings of up to $200* by purchasing a combined package deal on Expedia. With more than 400 partner airlines and 321 000 properties worldwide for you to pick from on our comprehensive database, you'll be jetting off on your holiday in no time! Almost ready to take off on your Edinburgh holiday? Wondering what sort of things to include in your travel itinerary? Don't fret — we're here to give you a few pointers. With so many iconic attractions in one place, you'll never have a dull moment in Edinburgh! First things first, make sure to take some selfies out the front of Edinburgh Castle and Arthur's Seat. When you've finished with those, you'll still have St. Giles' Cathedral and Palace of Holyroodhouse to visit! 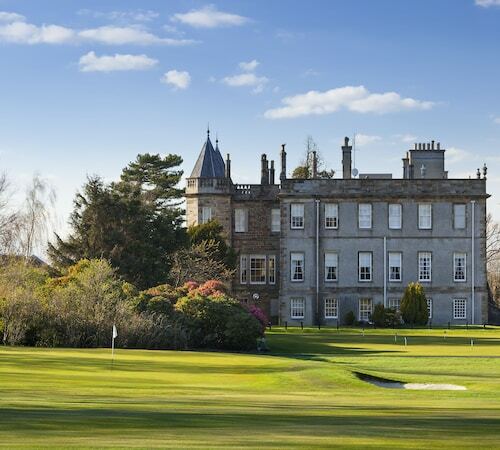 You're going to find yourself surrounded by interesting things to see and do, like the University of Edinburgh and the Heriot Watt University. 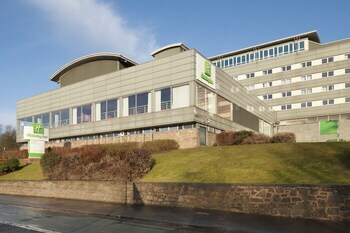 If you're eager to make the most of your time here, also swing by the Edinburgh Zoo and the National Museum of Scotland. Want to while away a few hours in a lush, green oasis? Take a trip to Princes Street Gardens. There's a great range of things to keep you busy in this destination. You don't need to be a grave hunter to enjoy a walk around Greyfriars Kirk. Why not check if there's a tour on and listen to some of the tales behind this captivating graveyard? Still got time to spare? The intimacy and artistry of live theatre is difficult to deny. Book your tickets for a show at Edinburgh Playhouse Theatre and experience its magic and charm for yourself! A getaway is a terrific time to relax and unwind. It's also the ideal time to jump into new experiences! For a more complete list of activities, jump onto our Edinburgh things to do page. 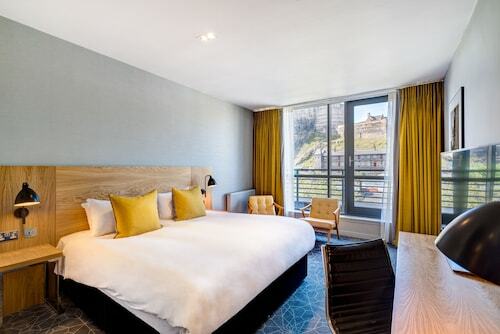 With roughly 406 accommodations in Edinburgh, securing the ideal place to lay your head in Scotland's capital city won't be a problem. Expedia is the home of the best cheap holidays and luxury getaways. 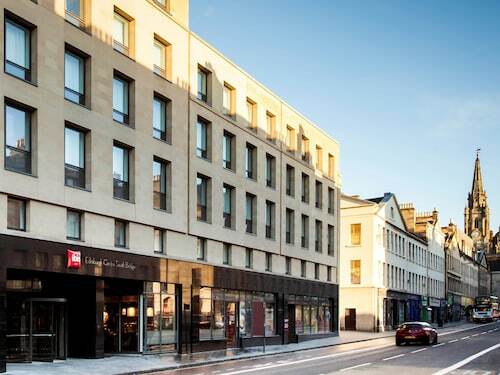 Start your search for a dreamy Edinburgh base by browsing the latest offers at The Balmoral Hotel (1 Princes Street) and the Destiny Scotland - George IV Apartments (23 George IV Bridge). If you'd prefer to spend your precious dollars on things like hair-raising adventures and wild nights out, why not check out some of our budget options? The Lyncliff Hotel (4 Windsor Street) and the Angel's Share Hotel (7-11 Hope Street) come recommended. One of the highlights of any stay in Edinburgh is Edinburgh Castle. 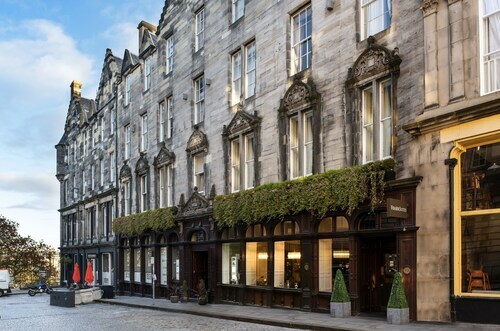 If you'd prefer to stay in the vicinity of this renowned attraction, the Old Town Chambers and the Sheraton Grand Hotel & Spa, Edinburgh are both worth checking out. Edinburgh Airport (EDI) is located 7 miles (11 km) west of the middle of Edinburgh. Claim your luggage, slide into the back of a cab and let the adventure begin! 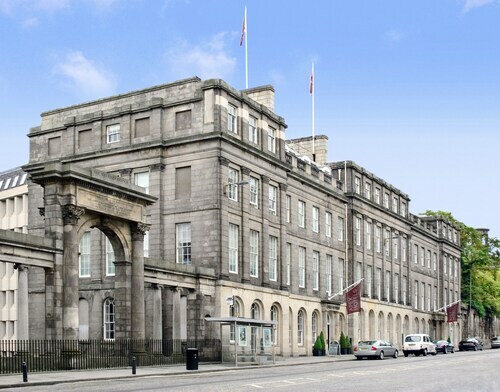 The campus of Edinburgh's venerable educational institution is spread seamlessly around the architecture of the city and opens to the public during year-round events. Relax after sightseeing among the exotic plants and Victorian greenhouses of this swath of nature in the heart of Edinburgh. A pleasant green space that separates Edinburgh's Old and New Town. The perfect place for a spot of relaxation. Enjoy a barrel ride, talks and tasting sessions in this lively museum devoted to Scotland's famous amber nectar. One of Edinburgh's most prominent landmarks is a tribute to a great Scottish author. Housed in an old noble’s city mansion and hidden away in a quiet courtyard, this museum provides an enlightening look at the lives of Scotland’s most famous writers. Visit a cemetery that has entered into legend because of a faithful dog who waited for years by his master’s grave. This elegant and picturesque public park is the perfect spot for a picnic, to play some sport, or enjoy a stroll. A focal point of Scottish history that dominates Edinburgh’s skyline and which has served as a fortress, a palace and home to the crown jewels. The city's original parliamentary home is a hidden gem that has great art and architecture waiting to be explored. Glimpse the life of royalty in the elegant rooms of what was once the Queen of England's personal cruise liner and Britain's ambassadorial ship overseas. Admire an array of rare and endangered species that are conserved at the city's renowned wildlife attraction. As Scotland’s political center, this striking modern building hosts the nation's government and welcomes visitors to its events and exhibitions. Take a trip back in time to the 18th century at this opulent, stunningly-restored Georgian townhouse. Walk to the top of this once-active volcano for incredible views of the city. Science, nature, history and culture come together in this spectacular museum, which celebrates learning about the world and all its wonders. A historic place of worship, which is also home to great art, striking memorials and regular musical performances. Scotland's biggest library is home to one of the world's most interesting literary archives. Take a walk up Edinburgh's iconic hillside to see stunning monuments and captivating views of the town. This superb gallery showcases the work by some of the most legendary Scottish and European painters. I liked the fridge and the sink which was very useful. The location is unbelievable and the staff were really good. However we had problems with the toleit in our room and the tables at breakfast were not clean. Central to all amenities. Prime position. Just lov Edinburgh. Friendly staff nice rooms but could be doing with a chair instead of a stool to sit on. 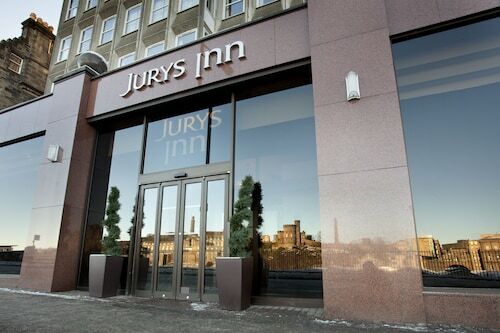 Looking for Flights, Hotels, Car Hire and Holiday Rentals in Edinburgh?